While official data including trade and inflation of March are yet to be released for this week, market sentiment has already been buoyed by positive indicators that are playing down concerns over uncertainties in the world's second-largest economy. Snapshots of the January-February period pointed to a pick-up in investment, stable consumer spending and optimized industrial structure, and more obvious recovery has been identified in March with steady factory and service sector activities. Consumption, a locomotive of China's economic growth, is picked by many analysts as one of the bright spots of recovering fundamentals. Swiss global financial services company UBS said China's consumption may stay more resilient than forecast as tax cuts, credit easing and confidence improving help to offset the not-so-strong headwinds of labor market weakness and property slowdown. "Personal income tax (PIT) cuts and value-added tax (VAT) cuts should be positive for consumption," UBS economist Wang Tao said. 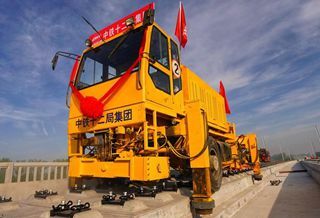 "PIT cuts are expected to be over 300 billion yuan (about 44.6 billion U.S. dollars) in 2019." "Some of the VAT cuts should be passed through to consumers as final goods prices are lowered, and this can help encourage more demand," he said. "Moreover, import tariffs and VAT have been lowered, including that for cross-border-e-commerce businesses, to reduce the price for domestic consumers." The UBS said the improvement in domestic demand may have underpinned China's import growth, predicting an improvement in import growth for March despite a high base last year. Investment banking firm CICC also believes there are reasons to become incrementally more optimistic on overall consumption growth in China, especially compared with last year. A marked downturn in retail sales may have spooked some market watchers given the heft of consumption in driving China's economy, but worries for a continuous slowdown could be overblown. "Leading indicators point to a potential stabilization of nominal growth in China, which is supportive to overall discretionary consumption growth," the CICC said. Household disposable income growth may accelerate, and the labor market has shown early signs of stabilization, with the operating environment of the small- and medium-sized enterprises improving, it said. On Sunday, the country unveiled a new guideline to facilitate the sound development of SMEs with more efforts to address problems such as rising costs and financing difficulties. "The upcoming sizable reductions of VAT and payroll tax rates are expected to promote the growth of employment and consumer purchasing power even further," the CICC said. While weaker auto sales contributed to about three-quarters of the slowdown in headline retail sales growth last year, the sector is expected to bottom soon. UBS analyst thinks auto sales growth will likely bottom in Q1 and turn positive sometime in Q3. Also, mass consumption upgrade will likely continue with the expected improvement of income distribution this year, the UBS said. "Staples consumption may also pick up, on the back of stabilized labor market and potential upside in the consumer price index."